Stone Bridge Press, 9781611720433, 144pp. 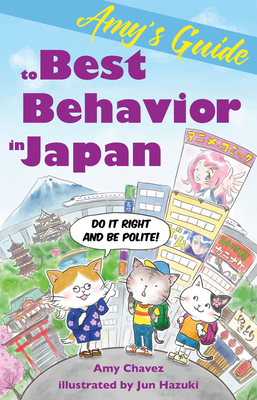 This guide to common courtesy, acceptable behavior, and manners is essential for any visitor to Japan. Japanese are unfailingly polite and will never tell you if you've crossed the line. But by knowing how to act in every situation you'll gain the respect of your hosts and in the end get even better service and enjoyment during your travels. Covered here are all the essentials--like travel, greetings, dining--plus subtle niceties like tone of voice, body language, cell phone usage, city vs. country styles, and attire (and what to do about your tattoos ). Amy Chavez has lived in Japan for 25 years, and is proprietor of the Moooo! Bar & Cafe on Shiraishi Island in the Inland Sea, where she helps tourists with reservations, language support, and cultural guidance. She has lived in Japan for 25 years and writes about cultural differences between Japan and the West for the Japan Times, Huffpo, and RocketNews24.